Rip, organize, edit and produce your music files! 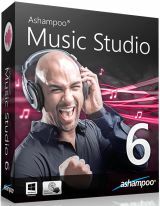 Ashampoo Music Studio 2016 was available as a giveaway on February 29, 2016! 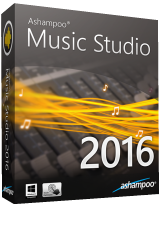 Ashampoo Music Studio 2016 rips, organizes, edits and produces your music files. Aside from multi-format conversions and common features such as disc ripping, normalization and a powerful cover designer, the program also gives you tools to record sound and organize your music collection. Select between various options to rename your files based on a coherent naming scheme, edit metadata or analyze your songs. The ability to extract audio tracks from videos or to create custom song mixes with cross fading complete the positive picture. Create MP3 or WMA discs. How would you improve Ashampoo Music Studio 2016? Will this program work on xp3 even if it's not listed as an operating system....some programs work without being listed , so am asking if this will do the same. No problem installing and changing password on Win 8.1. Program started without issue. I did not test the functions but have used their software and it has always functioned well. No problem installing and changing password on Win 8.1. Program started without issue. I did not test the functions but have used their software and it has always functioned well. A very unattractive program interface that looks like it was ported from DOS 6.2. Poorly laid out, unintuitive operation, poorly done help file. AND renaming files MOVES THEM! MOVES THEM! I usually like Ashampoo stuff, even with the non-stop advertising they spool to you, but this was just awful. I could not WAIT to uninstall it. A very unattractive program interface that looks like it was ported from DOS 6.2. Poorly laid out, unintuitive operation, poorly done help file. AND renaming files MOVES THEM! MOVES THEM! I usually like Ashampoo stuff, even with the non-stop advertising they spool to you, but this was just awful. I could not WAIT to uninstall it. You can also delete all the readme*.htm files as these are only used during installation and the license*.txt files in the C:\Program Files (x86) directory. For you advanced users, see it you have copies of D3DCompiler_43.dll, d3dx9_43.dll and gdiplus.dll in the C:\Windows\System32 directory. To be safe, rename them first and thoroughly run the program to see that all is working. If it does, you can delete these files as well. Also, check all your other Ashampoo applications and check the above as well. If you're strictly using the English version, you can keep the following files and delete all others under the lang directory, wxwidgets-en-us.ashLang, portal-en-US.ashLang, peru-en-us.ashLang, MusicStudioCS-en-US.ashLang, graphics-en-us.ashLang, CoverEditor-en-us.ashLang, ash_inet2-en-GB.ashLang, common-en-us.ashLang, CommonCS-en-US.ashLang You can also delete all the readme*.htm files as these are only used during installation and the license*.txt files in the C:\Program Files (x86) directory. For you advanced users, see it you have copies of D3DCompiler_43.dll, d3dx9_43.dll and gdiplus.dll in the C:\Windows\System32 directory. To be safe, rename them first and thoroughly run the program to see that all is working. If it does, you can delete these files as well. Also, check all your other Ashampoo applications and check the above as well. Sorry, forgot to comment on the software when I posted above. I think this a great software application with many options. Fortunetely the program is not installed unless you enter the code, so I don't have to uninstall. <b>Dorthe</b> Fortunetely the program is not installed unless you enter the code, so I don't have to uninstall. Same problem. Trying to install on a Win 10 machine. All the "Show System Requirements" and "get Free Activation Key" buttons do is ding at me. Won't let me get the code I need. Looks like someone needs to take a look at what is going . <b>Dorthe</b> Same problem. Trying to install on a Win 10 machine. All the "Show System Requirements" and "get Free Activation Key" buttons do is ding at me. Won't let me get the code I need. Looks like someone needs to take a look at what is going . We use dbPowerAmp to rip our CD collection. It's a top quality ripper, but it's tricky to organize your collection when ripping. I wonder if Ashampoo would be easier to use? For example, our collection includes rock, blues, reggae, various-artist hits, opera and lots of classical, too. For most of those music types it makes sense to organize them by artist name, then album title, then genre, etc. However, with classical and opera we want them organized by composer first, then title of the work(s), then conductor, then artist, etc. Using dbPoweramp you have to tediously pre-set these parameters before you rip, and i have yet to figure out how to change the order of those parameters after ripping. One of the screenshots for Ashampoo appears to show a nice user window with the basic parameters clearly displayed for each disc you're ripping. Hopefully, you can adjust, change or re-order that information easily. Can anyone confirm this, please? We use dbPowerAmp to rip our CD collection. It's a top quality ripper, but it's tricky to organize your collection when ripping. I wonder if Ashampoo would be easier to use? For example, our collection includes rock, blues, reggae, various-artist hits, opera and lots of classical, too. For most of those music types it makes sense to organize them by artist name, then album title, then genre, etc. However, with classical and opera we want them organized by composer first, then title of the work(s), then conductor, then artist, etc. Using dbPoweramp you have to tediously pre-set these parameters before you rip, and i have yet to figure out how to change the order of those parameters after ripping. One of the screenshots for Ashampoo appears to show a nice user window with the basic parameters clearly displayed for each disc you're ripping. Hopefully, you can adjust, change or re-order that information easily. Can anyone confirm this, please? Check out mp3tagexpress-dot-com. It has lots of file renaming and tagging features not found in most software. <b>starvinmarvin</b> Check out mp3tagexpress-dot-com. It has lots of file renaming and tagging features not found in most software. I have downloaded the program but no message has come to email ID. I had to go back and select activate again, once I realized I made a typo in the email ID. Since it literally takes one or two minutes to repeat, start there. <b>RM</b> I had to go back and select activate again, once I realized I made a typo in the email ID. Since it literally takes one or two minutes to repeat, start there. With Ashampoo you set up an account automatically when you register one of their offers, like today's or earlier GOTDs. The next time you go to register or activate an Ashampoo app, as soon as you enter your email it prompts for the password, you log in, & it shows the key. If you're not getting the email from them, perhaps it would work to set up an account on their web site, then use that same email address when you activate the software. <b>RM</b> With Ashampoo you set up an account automatically when you register one of their offers, like today's or earlier GOTDs. The next time you go to register or activate an Ashampoo app, as soon as you enter your email it prompts for the password, you log in, & it shows the key. If you're not getting the email from them, perhaps it would work to set up an account on their web site, then use that same email address when you activate the software. mike .....set up an account automatically when you register.........Ashampoo collect e-mail adresses. <b>mike</b> .....set up an account automatically when you register.........Ashampoo collect e-mail adresses. Very Gooooooood program. Thumb up. Will this record streaming music from the internet? Ditto, MikeR, so good to have such info without effort!! Thanks, much appreciated. I have reservation with the working of the makers of the software. Couple of days back there was DVD burning software was on for grab. After going through all the installation process, found the software does not do the needful as expected. Now I am bombarded with marketing emails to buy other discounted products. Hope those who have downloaded are enjoying the purpose of doing so. <b>MikeR</b> I have reservation with the working of the makers of the software. Couple of days back there was DVD burning software was on for grab. After going through all the installation process, found the software does not do the needful as expected. Now I am bombarded with marketing emails to buy other discounted products. Hope those who have downloaded are enjoying the purpose of doing so. The idea is to move everyone to the new versions of windows. whilst my Windows 7 machine sits quietly idle. Why not have programs available across all platforms ? Some say it is progress, but is it really? The idea is to move everyone to the new versions of windows. It is sad I have two systems, and I use XP for most of my work, whilst my Windows 7 machine sits quietly idle. My quad processor xp machine is quicker than my 6 processor windows 7, machine. Why not have programs available across all platforms ? Some say it is progress, but is it really? Software usually runs on Windows from XP to 10. If only one is mentioned: XP, Vista, 7, 8, 8.1 or 10 it WILL run on ALL those Windows versions. Except, there is a strange copy protection in the background in that case sometimes software might not run. What might happen is, that software ranging from XP to 10 is NOT running on a PC with Win 95 - 2000 and vice versa. @ <b>Peter James</b> Software usually runs on Windows from XP to 10. If only one is mentioned: XP, Vista, 7, 8, 8.1 or 10 it WILL run on ALL those Windows versions. Except, there is a strange copy protection in the background in that case sometimes software might not run. What might happen is, that software ranging from XP to 10 is NOT running on a PC with Win 95 - 2000 and vice versa.
" I use XP for most of my work... Why not have programs available across all platforms ?" Some companies will make a special effort to ensure their software runs on XP, but I think most figure it's such a small portion of the total market, it's not worth any extra work. So they develop their apps for 7-10, & if it works on older Windows versions, cool -- if not, oh well. 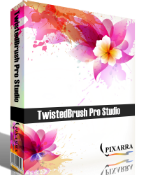 <b>Peter James</b> <i>" I use XP for most of my work... Why not have programs available across all platforms ? "</i> Some companies will make a special effort to ensure their software runs on XP, but I think most figure it's such a small portion of the total market, it's not worth any extra work. So they develop their apps for 7-10, & if it works on older Windows versions, cool -- if not, oh well. In exactly the same position, work in XP but have Win 700 idle but available. Newer versions of Windows often bring in new functions; for instance volume levelling in video in Windows 7 which is not available in XP according to my understanding. If these functions are used in a program that earlier versions cannot take advantage of they are not considered suitable for these versions. <b>Peter James</b> In exactly the same position, work in XP but have Win 700 idle but available. Newer versions of Windows often bring in new functions; for instance volume levelling in video in Windows 7 which is not available in XP according to my understanding. If these functions are used in a program that earlier versions cannot take advantage of they are not considered suitable for these versions. I don't believe it's such a small segment of the market that runs xp. When support for XP was discontinued 2 years ago, one out of every 3 computers still ran XP. Could you imagine if car companies stopped providing parts for one out of every 3 used cars still on the road??? <b>mike</b> I don't believe it's such a small segment of the market that runs xp. When support for XP was discontinued 2 years ago, one out of every 3 computers still ran XP. Could you imagine if car companies stopped providing parts for one out of every 3 used cars still on the road??? Sorry mike, as a developer I can tell you that's not the way it works and you only causing confusion. <b>mike</b> Sorry mike, as a developer I can tell you that's not the way it works and you only causing confusion. "I don't believe it's such a small segment of the market that runs xp." StatCounter shows XP as having a 4.1% marketshare in the US -- China, often cited for the number of pirated copies of XP in use, shows ~25%. You may have a great reason for running XP, Phillip, but some fraction of that 4% is running XP because they didn't want to buy a newer version. A lot of [most?] recent hardware won't run XP -- the bios is incompatible -- so those running XP are more likely to be using an older PC. Some may be using an older PC just for XP, but others simply don't want to or can't spend the money. So if a company is looking at X number of dollars to rewrite portions of their code for XP, they have to balance that against potential sales to less than 4% of the market. <b>Phillip Lipton</b> <i>"I don't believe it's such a small segment of the market that runs xp. "</i> StatCounter shows XP as having a 4.1% marketshare in the US -- China, often cited for the number of pirated copies of XP in use, shows ~25%. You may have a great reason for running XP, Phillip, but some fraction of that 4% is running XP because they didn't want to buy a newer version. A lot of [most?] recent hardware won't run XP -- the bios is incompatible -- so those running XP are more likely to be using an older PC. Some may be using an older PC just for XP, but others simply don't want to or can't spend the money. So if a company is looking at X number of dollars to rewrite portions of their code for XP, they have to balance that against potential sales to less than 4% of the market. Program actually refuses to install on XP Pro SP3 computer. Got an error message "This program does not support the version of Windows your computer is running." BTW, seems XP is still n°3 World most installed OS ! Not "such a small portion of the total market" ! <b>Spiritogre</b> Hi, Program actually refuses to install on XP Pro SP3 computer. Got an error message "This program does not support the version of Windows your computer is running." Too bad ! @Peter James BTW, seems XP is still n°3 World most installed OS ! Not "such a small portion of the total market" ! As a developer I would never have to rewrite part of my code as if that area of my market was meant to be covered I write it for them in the first place! Find your comments to the confusing recently. <b>mike</b> <i>So if a company is looking at X number of dollars to rewrite portions of their code for XP, they have to balance that against potential sales to less than 4% of the market.</i> As a developer I would never have to rewrite part of my code as if that area of my market was meant to be covered I write it for them in the first place! Find your comments to the confusing recently. VISTA IS SUPPORTET ! Why you not look at the website from Ashampoo ? <b>mu</b> VISTA IS SUPPORTET ! Why you not look at the website from Ashampoo ? You can check by clicking "show system requirements" on installation. I don't understand!? Of course Windows 7 - 10 runs on PCs with 1GB RAM. In that case it is wise to use the 32Bit version, though. Many Netbooks and Tablets only have 1GB RAM. @ <b> Mike r </b> I don't understand!? Of course Windows 7 - 10 runs on PCs with 1GB RAM. In that case it is wise to use the 32Bit version, though. Many Netbooks and Tablets only have 1GB RAM. "Of course Windows 7 - 10 runs on PCs with 1GB RAM." <b>Dariolli</b> Have you tried MediaMonkey? I love Media Monkey it is my main audio player but you need to buy the Gold version to get some(!) of the features Music Studio offers. Both are totally different kind of programs after all. <b>Luis</b> I love Media Monkey it is my main audio player but you need to buy the Gold version to get some(!) of the features Music Studio offers. Both are totally different kind of programs after all. And every time an ZIP file is smaller than an EXE file ! <b>mrlasky</b> This is really simple - here is the setup packed into a ZIP file - and on the website it is download for an .exe file And every time an ZIP file is smaller than an EXE file ! "And every time an ZIP file is smaller than an EXE file !" Spiritogre And is a little bigger. <b>Spiritogre</b> And is a little bigger.